Getting from one side of the Mississippi to the other is not quite as straightforward as you might think. Even as far north as Wisconsin, the river is already incredibly wide, so building a bridge across the Mississippi and its vast backwaters and sloughs is an expensive and complicated undertaking. As a result, bridges are few and far between. Even the existence of a bridge doesn’t guarantee an easy crossing. Take the bridge at Lansing, Iowa. 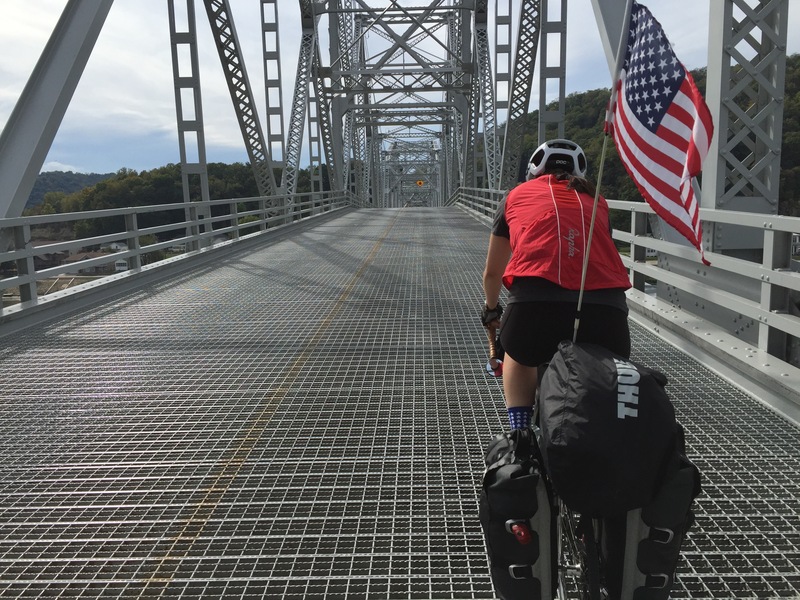 You can imagine our relief putting Black Hawk Bridge behind us. 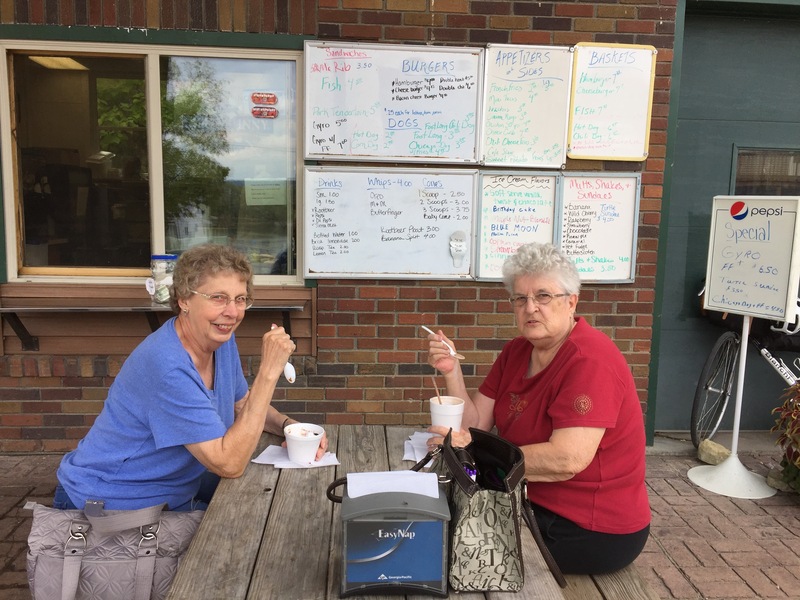 We turned onto the main drag in Lansing and began searching for ice cream to celebrate our successful passage into Iowa. The town forms a thin strip nestled between the river and steep limestone cliffs. Ancient gray-yellow limestone buildings that once held lumber offices had been turned into antique shops and insurance offices. 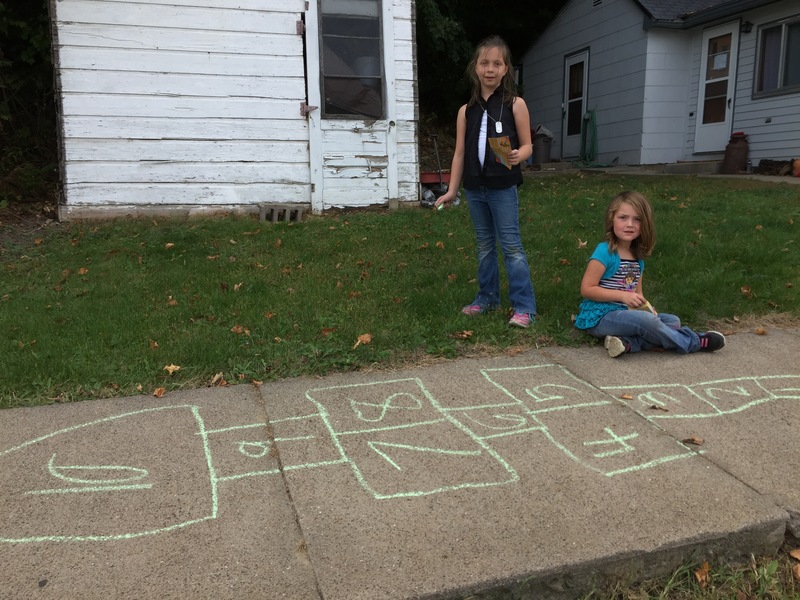 Two young girls put the finishing touches on their hopscotch game as we rolled by. What we thought was a colorful VW bus at the end of the block turned out to be a gigantic strawberry ice cream cone. 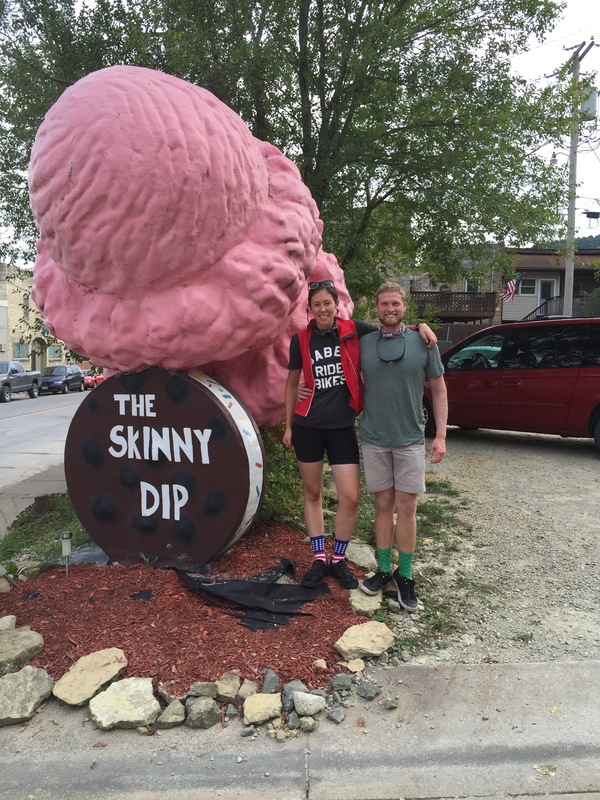 Eager for a treat, we rolled up to the Skinny Dip and immediately began poring over the menu. A pair of old ladies had the same idea. They had just crossed from Wisconsin on their weekly “junking” excursion and were gearing up to hunt for knickknacks and ephemera with enormous chocolate sundaes. 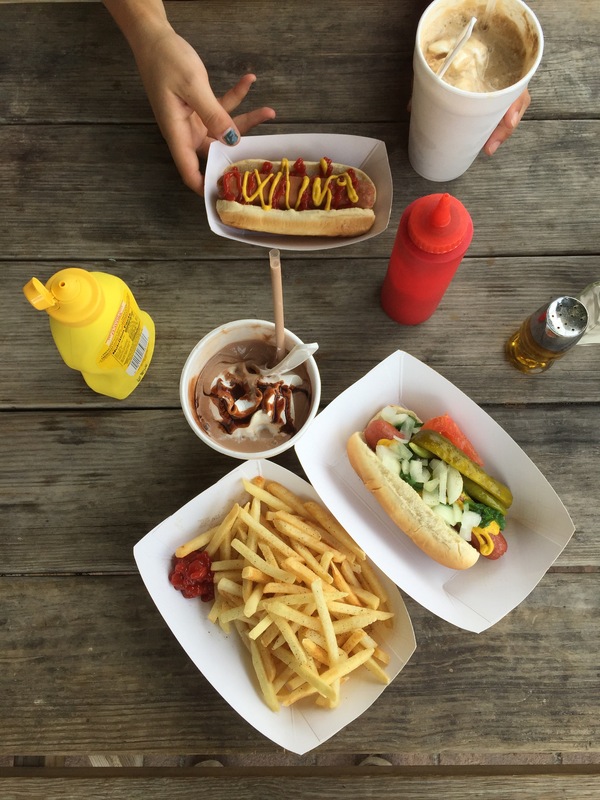 Inspired by the old ladies’ appetites, Kristen and I ordered malts, hot dogs and fries to go with our celebratory ice cream. In case it is any mystery, you can eat whatever you want on a bike trip. Bon apetite!